Wireless charging for smartphones has been around for a while and now we can charge our cars the same way. 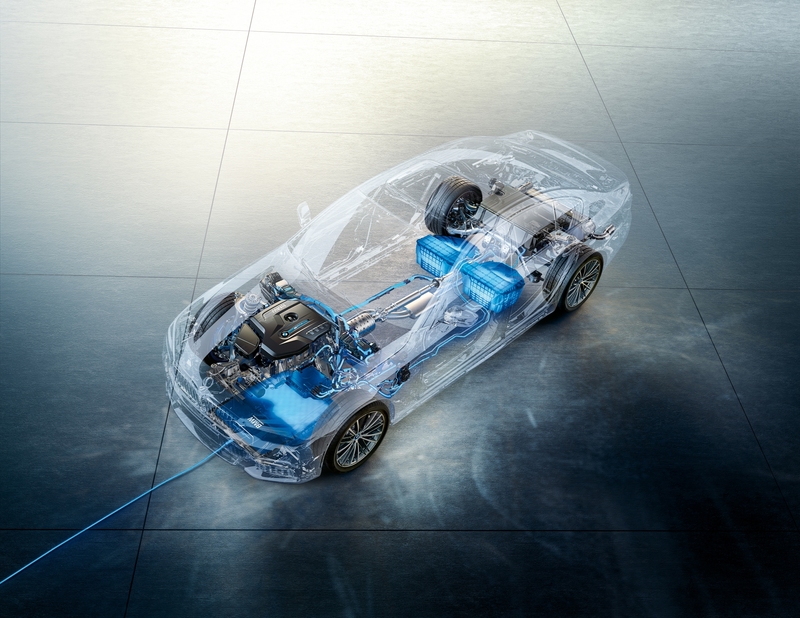 Following reports of this technology, BMW i has just launched the world’s first factory-fitted, fully-integrated inductive charging facility for the high-voltage battery in their BMW 530e iPerformance plug-in hybrid vehicle. The optional BMW Wireless Charging which is supposedly “simpler than refueling a car with a conventional engine.” works similar to the wireless charging systems we use for mobile phones and electric toothbrushes. It consists of an inductive charging station called GroundPad and a secondary vehicle component called CarPad, fixed to the underbody of the vehicle. The wireless transfer occurs when a magnetic field is created by the GroundPad, which inturn induces electric current in CarPad which then charges the high-voltage battery. This happens in a distance of 3.15 inches, approximately. The 3.2-kilowatt charging system allows the high-voltage batteries on board the BMW 530e iPerformance to be fully charged in three and a half hours at an 85 percent efficiency. With this technology, drivers no longer need to hook up their plug-in hybrid car to a wall socket. Instead, the charging begins as soon as the vehicle has been parked in the correct position above the inductive charging station, followed by a push of the Start-Stop button. And once the battery is "topped up," the system switches off automatically. BMW Wireless Charging system uses a Wi-Fi connection between the charging station and vehicle to direct it to the right spot. 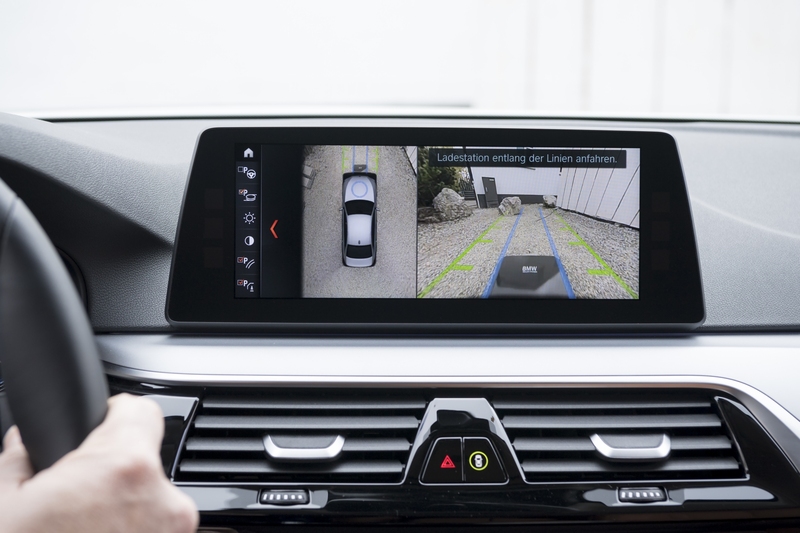 A bird’s eye view of the car and surroundings then appears on the infotainment screen with colored lines to guide the driver while parking and a graphic icon appears once the vehicle has reached the exact parking spot. Things are made a tad easier thanks to a dimensional tolerance of 2.76 inches longitudinally and up to 5.51 inches laterally. 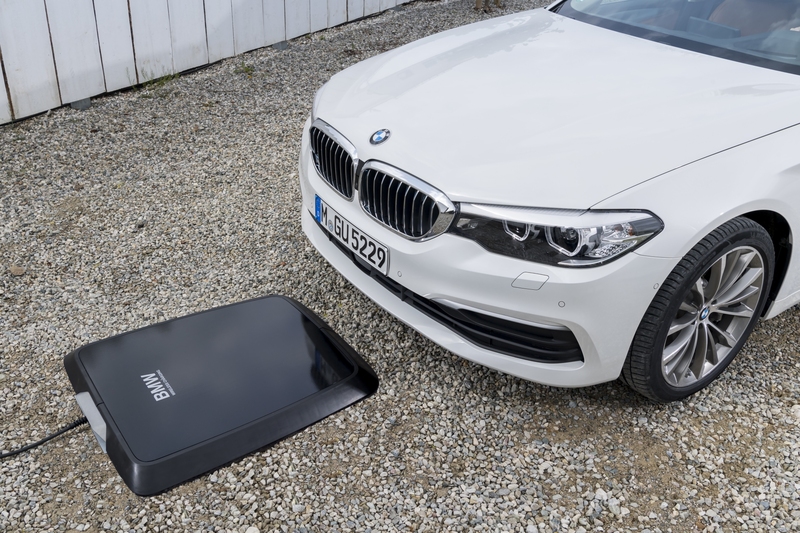 BMW also claims all-weather utility for the GroundPad allowing it to be installed outdoors. The design is such that all electricity-conducting components are protected from rain and snow, and even driving over it will not damage it. More importantly, the ambient electromagnetic radiation created during wireless charging is restricted to the undercarriage of the vehicle. The GroundPad is constantly monitored and will be switched off if any “foreign matters” are detected. BMW Wireless Charging is only available as a leasing-option for the BMW 530e iPerformance sedan. The German company has yet to make any statements regarding both the BMW i3 or i8. The product will be offered in Germany first, followed by the markets in the U.K., U.S., Japan, and China. An on-request installation service for BMW Wireless Charging will also be provided, because of course, this is not IKEA furniture we are talking about here.